This light will be perfect for wherever you'd like to place it. I will assemble this beautiful piece from scratch, all parts are going to be new. 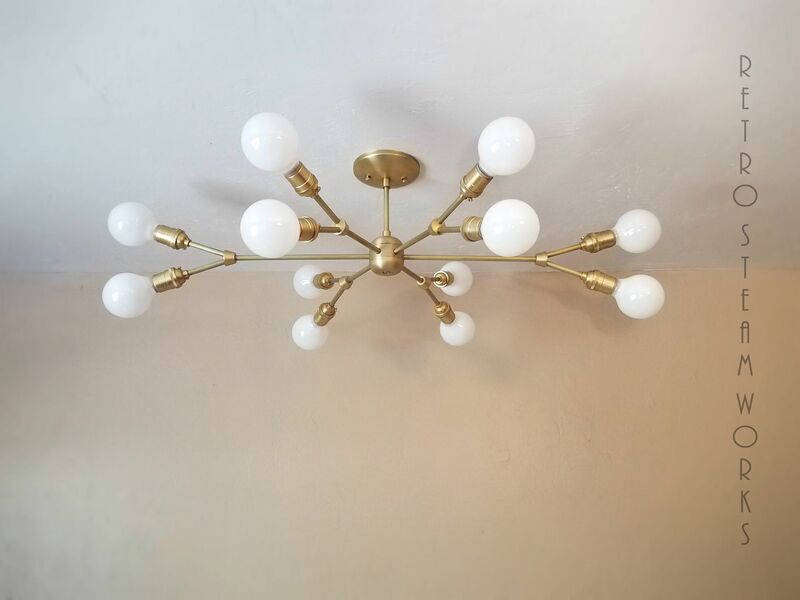 This unique piece features multiple light bulbs for better illumination. All the wiring and electrical components are UL rated and new. The light bulbs are not included, but they're available at an additional cost, contact me for different options. Approximate measurements are; 38"L x 28"W x 11"Total drop, from the ceiling to the lowest point of the chandelier (counting the bulbs). Note that this chandelier is rectangular (customization is available). This chandelier can be made in several different configurations and finishes, feel free to request a custom order. In order to keep shipping costs low and pass the savings onto you, the hanging rod will come unscrewed. It'll feature high quality cast brass medium sockets (E26), different options available too. 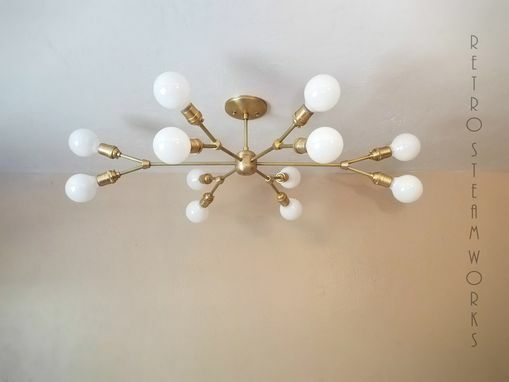 This chandelier is made of pure brass, shown is with a brushed satin finish. Most of my pieces are made with unfinished metals, therefore they will tarnish over time. Patina only adds character to the piece, but if tarnish is not desired wax or mineral oils can be applied regularly. *Pictures included in the listing might have been enhanced for illustrative purposes.